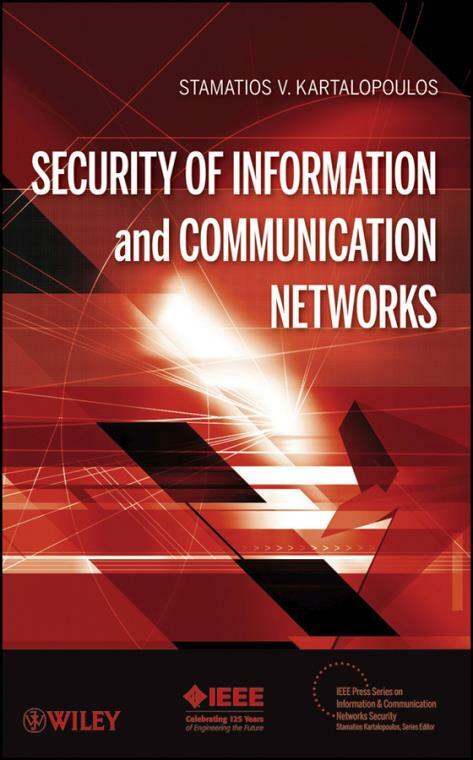 Although information security and communication network security are extremely hot topics, few books combine both areas in a substantive manner. Security of Information and Communication Networks fills the important need for a complete conceptual treatment of both securing information and transporting it over a secure network. Complemented with figures and graphs to illustrate mathematical and network security concepts, this is a practical reference book for students, professionals, researchers, practitioners, and others in business and government who need to gain a conceptual, rather than a technical, understanding of this important topic. It also serves as a valuable supplemental text for courses in cryptography, information security, communications security, and networking security. 1.1 A Historical Perspective of Information and Network Security. 1.2 Modern Cryptography, Watermarking, Steganography, Escrow and Cryptanalysis. 1.4 Security Threatening Attacks and Actions. 2.9 The Fermat s Theorem. 2.10 The Euler s Theorem. 4. Cryptographic Key Distribution Systems. 4.2 Merkle s Puzzle Method. 4.3 Shamir s Key Distribution Method. 4.4 Diffi e–Hellman Key Exchange Distribution. 4.6 The Trusted Third Party or Key Escrow Encryption System. 5.1 Fundamentals of Chaotic Processes. 5.2 Application of Chaotic Systems to Communications. 5.3 Application of Chaotic Systems to Cryptography. 6. Communication Security Layer Classifi cations. 6.1 A Synergistic Security Framework. 6.4 Attacks and Security in the Internet. 6.5 TACACS, SNMP and UDP. 7. Network Security: Wireless Systems. 7.3 Wi–Fi, WPA and WPA2. 7.4 EAP, EAPOL and RADIUS. 7.5 Wireless Mobile Access Networks. 7.10 Wireless Personal Area Networks. 8. Network Security: Wired Systems. 8.4 Security Comparison Between PSDN and IP. 9. Network Security: Optical Systems. 9.2 Layers of Network Security. 9.3 Security of Optical Access Network. 9.5 A WDM Method Applicable to Link Security. 9.6 Free Space Optical Networks. 11. Next Generation Optical Network Security. 11.2 Standardized Protocols for Cost–Effi cient Optical Networks. 11.3 Security in the Next Generation SONET/SDH. 12. Biometrics in Communication Networks. 12.4 Local and Remote Authentication.